Organizations are challenged to upgrade, maintain and optimize IT investments that support and deliver business outcomes. Having complete visibility into asset portfolio and asset lifecycle helps improve organizations balance risks, performance and reliability while optimizing IT costs. 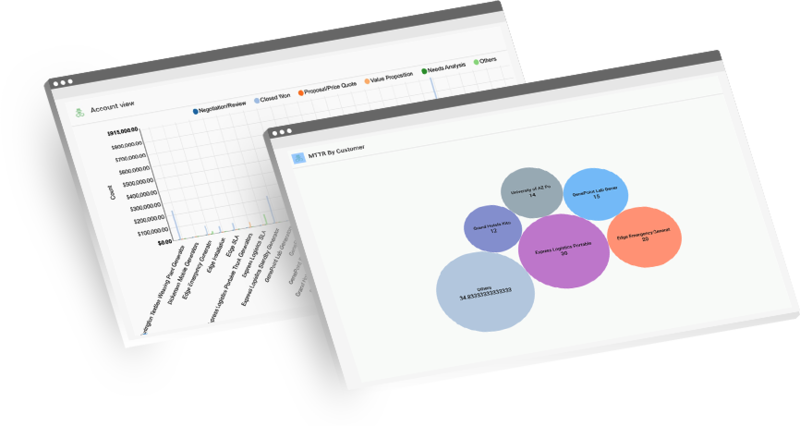 cfxDimensions automates the discovery of assets using data from multiple sources for complete visibility and correlates with data from procurement and contract systems for full lifecycle visibility. cfxRealize can track the IT asset utilization against entitlements and can perform risk assessment to help IT stay ahead of EoL, EoS, contract expiration, out of support and out of compliance risks. IT Organizations have a tough task of balancing support for new business needs with limited data center infrastructure resources. To meet future capacity requirements Organizations, need to have a framework to handle both short-and long-term planning to maintain, upgrade and refresh their IT assets. Accurate planning and forecasting is required to maximize returns, meet future capacity needs and avoid risks of unplanned service outages. cfxDimensions continuously monitors and measures the usage of IT assets and applies advanced analytics and forecasting models to provide insights to the stakeholders on when capacity issues might pop-up and provide recommendations on remediation plans. It also allows planners to run what-if analysis to understand net impact of changes by feeding different data and applying multiple forecasting algorithms for complete picture. Read data from multiple sources - log files, vCenter, Cloud APIs etc. Customer experience is essential for both the future growth and the current bottom-line of any organization. Customer experience measured from multiple dimensions is essential for customer retention, customer loyalty, word-of-mouth, acquisition and so much more. Depending on the customer’s context poor or unaddressed customer experience can have significant negative impact on business relationship. With cfxDimensions product suite, customers can define key metrics across all channels and interactions and measure them on a continuous basis to provide visibility and also alert key stakeholders for any interventions. The scope of experience will often goes beyond product interaction and can include support and after service follow-ups. Thanks to the platform ability to analyze data from multiple source and correlate them. End to end measurement of customer experience - UI, Backend etc. Every enterprise has quantifiable business and operations objectives like availability, performance, compliance, end user experience etc., that they want their applications deliver on a continuous basis. These objectives are translated into cfxDimensions outcomes and will be measured and reported on a continuous basis. cfxDmensions provides Analytics driven application governance to continuously measure these outcomes and provide insights on issues/gaps and recommendations to address them. Each outcome consists of a set of operational aspects, called Dimensions, and set of rules, called Insights that the applications strive to meet. Container Solutions, especially in combination with microservice architectures and the practice of DevOps have introduced a lot of complexity into operations. Traditional monitoring solutions are not designed to handle the distributed nature of these applications. You need a completely new approach which is natively built into the platform to handle the dynamic behavior. cfxDimensions is built natively using cloud native architecture so it is more optimized to monitor such type of applications. Several container specific metrics are provided out of box and one can also collect logs from distributed containers and analyze them for operational insights. It is also possible to extend the existing container apps to support advanced capabilities like service graphs with some minor modifications. Integration with DevOps and CI/CD to trigger scaling, rolling-upgrades etc. Traditional war rooms are a common practice even now, where multiple IT organizational units come together, mostly in a reactive mode, to perform diagnosis and troubleshooting of complex issue or incident. Research shows that overall experience with such traditional war rooms is sub-optimal - mostly due to delayed realization of results, complex handoffs, excessive time commitment and manual operational processes. Digital war rooms can effectively address and overcome such limitations and issues, and enable situation analysis in complex environments to deliver expedited results much more effectively. Customers can define their operational environments (like Production, Staging etc.) and discover all key IT assets, data that reside in such environments. Discovery module can automatically find and add many IT infrastructure assets, applications and cloud resources. Management systems, ITSM and ITOM systems can also be added to the environments. Multiple relevant applications can be treated as a value-stream. 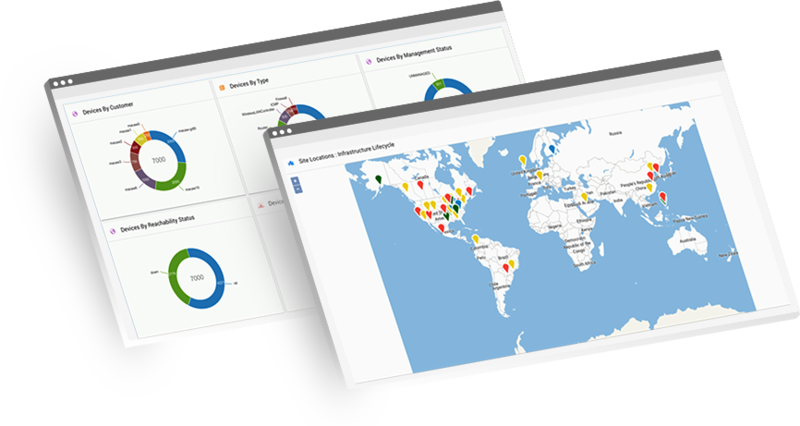 Once environments are setup and discovered, cfxHorizons can in real-time or periodically discover, monitor, analyze and report on key operational data with aggregate and correlated analytics that enable faster troubleshooting, issue resolution. In some cases it also enables proactive avoidance of impending issues. Business and IT alignment continues to be a major challenge for business leaders. Business leaders need to clearly articulate and define business outcomes and key expectations from IT operations and assets to support those outcomes. 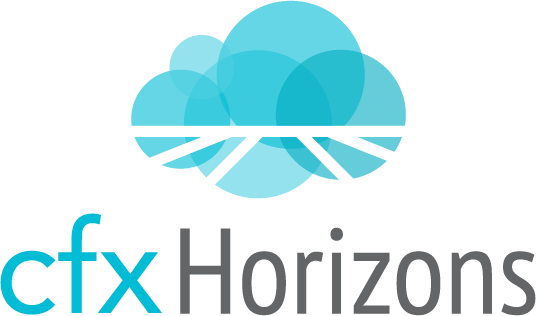 cfxHorizons enables Business-IT alignment through full stack continuous governance covering Biz, App, Cloud domains across multitude of operational dimensions including performance, security, capacity, availability, and cost. cfxHorizons comes with comprehensive set of business Outcomes library to allow customers to start governing their environment quickly. It also allows customers to define new Outcomes. Once deployed, cfxHorizons discovers all IT assets including cloud/on-prem assets, necessary data and systems that are relevant and needed for delivering the Outcomes. 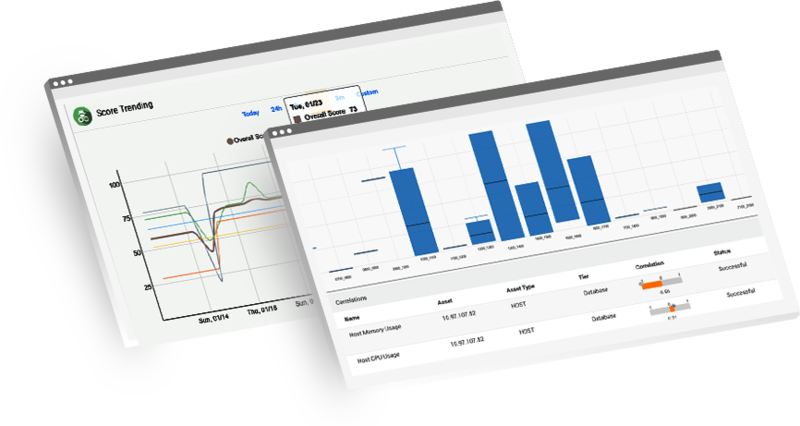 cfxHorizons built-in advanced analytics and ML capabilities provides continuous score on operational health, baseline for optimization and drill down analytics for recommendations. Technology has evolved significantly in the last couple of years and will continue to do so in the future also. Business demands adoption of new technology on a continuous basis to stay competitive. However, the change is never easy. This is where cfxDimensions suite can help in guiding customers adopt the new technology while ensuring the desired objectives are met. Customers can start with deep discovery to take a stock of what they have and their dependencies. Once this is done one can do measure the current performance on the desired KPIs. Equipped with these details, they can plan the upgrade and continuously monitor if theu are on track or if any course corrections are required. Any Cloud Migration effort involves three key phases: 1) Migration Planning and Assessments 2) Data and Application movement 3) Stabilizing and Governing Apps on Cloud. IT operations and NOC teams are constantly bogged down by the huge volumes of alerts and incidents. Most often a majority of these alerts are either false alarms, or duplicate alerts pointing to same root cause. Traditional monitoring tools are not equipped to learn from topology, and overall incident behavior and hence they are not effective in reducing the alert noise. 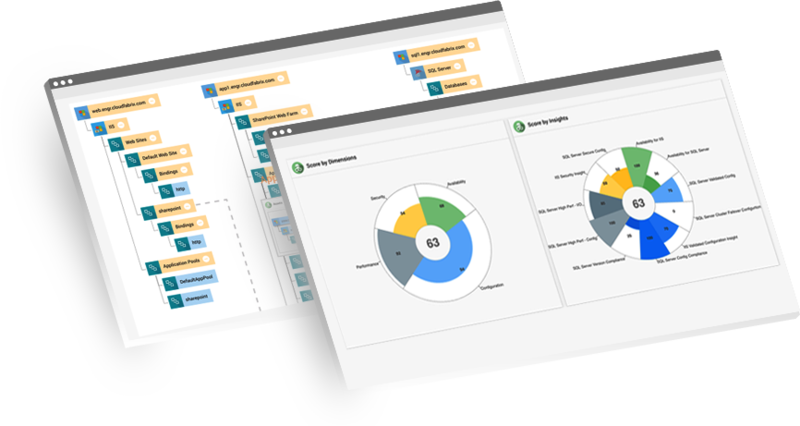 cfxHorizons with its built-in advanced analytics and ML capabilities, can help reduce false alerts and significantly reduce time needed for root cause analysis. Customers can implement this solution in few ways. 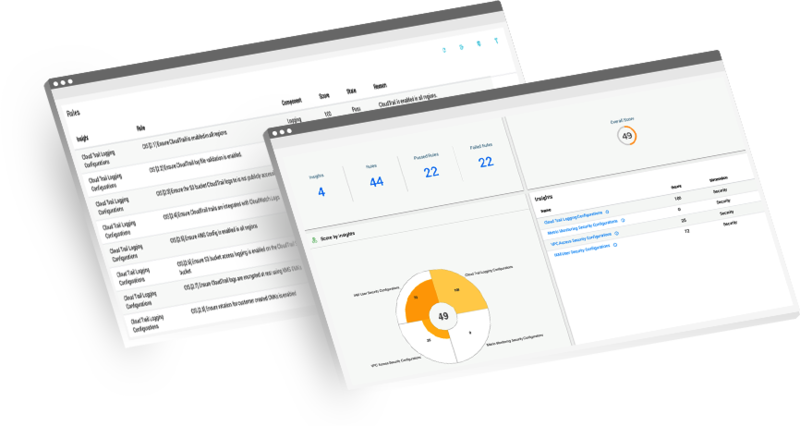 Event processing pipeline: Feed alerts from multiple monitoring tools into cfxHorizons, to process and perform analytics, alert suppressions and correlations and create only necessary incidents in ticketing systems. 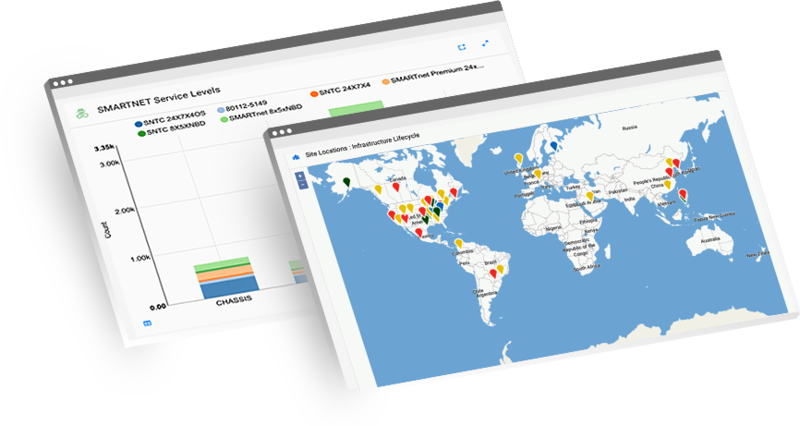 Incident prediction: cfxHorizons will provide predictions on possible actions for new incidents. These predictions are given based on the platform learning the trends from past incidents. This helps NOC engineers re-prioritize incidents and optimize response time for important and relevant incidents. Incident resolution and enrichment: Provides incident enrichment by performing automated diagnosis of incidents and resolution using cfxAutomate dynamic automation capabilities. In cases where an incident cannot be automatically resolved, it can be enhanced by having troubleshooting information appended to it to help reduce the time it takes for engineers to address the issue. Cloud is fundamentally a shared responsibility model, keeping the onus of securing applications and data on the customer or user. Enterprises need effective security, cost, utilization controls and overall governance in cloud to ensure their business and IT objectives are met on a continual basis. CloudFabrix provides standard compliance checks (ex: PCI, HIPAA, CIS etc. ), vendor best practices, reference architecture validations. Customers can also specify custom IT or data controls, policies or design conventions that can be evaluated and enforced across all cloud assets. KPIs/Outcomes can be set and continually measured using governance scores. CloudFabrix provides this functionality by continuously collecting, monitoring and analyzing data from all key cloud services, resources and even on-premises systems.